Every child wants and needs to belong! At the core of the Nurtured Heart Approach™ (NHA) is the understanding that every child has an innate need to be in a relationship and belong, and it is that need that dominates and drives almost all of their behavior. “Stop it! No!” “You’re grounded! Time out! ” “If you do that one more time, I’ll…” “Stop hitting your brother!” “Cut the attitude!” What parent hasn’t caught themselves using phrases like these? Suddenly, you find yourself yelling when you did not mean to yell. Over time, this disciplinary approach becomes less and less effective. Children need our attention, and if they do not get it in a positive way, they will get it any way possible. The Nurtured Heart Approach™ helps eliminate negative interactions with your child by alleviating their need to act out in order to get your attention. Children are created to be in relationship with others. From the moment they are born, they are dependent upon adult caregivers to meet their every need. They learn at this early age how to trust and get their needs met. As they grow up, they become very creative to meet the essential need to belong and have purpose. By their very nature, they need to be connected to the significant adults (parents, teachers, caregivers) in their lives. Children will go to great lengths to insure they have purpose, meaning and a sense of belonging. If we view children’s behavior simply through the lens of “every child is looking for ways to belong” it becomes clear that their behavior is usually trying to meet this need. If their behavior gets your attention, good or bad, then their behavior works. On the contrary, if their behavior fails to get your attention, then it is generally useless. Here is where the Nurtured Heart Approach™ starts… at the innate need every child has to be in relationship and belong. As parents, educators and therapists begin to put on a different lens, one that sees behavior as serving a specific purpose, (to keep you paying attention to them) it becomes much clearer how to respond. If a child’s disruptive behavior is met with a lot of drama and attention from significant caregivers, then the behavior is useful. On the other hand, if these behaviors don’t attract a lot of attention and emotion, the child will look for new and more effective ways to express themselves. Children quickly learn to believe in themselves and build confidence in the successes that flow from fully investing their intensity in positive behavior. The Nurtured Heart Approach™ works to empower parents and teach them how to wear these lenses successfully. It also tears down labels and cultural differences because it reaches the “heart” of every child. Whether your child has challenging behavior or not, the approach will strengthen them from the inside out. This is why it is so successful in schools, homes and foster care settings. By re-directing your approach using Nurtured Heart techniques, you can experience the joy of parenting and build a loving relationship with your child. Indeed “a happy childhood last a lifetime!” That is why Dan endorses the Nurtured Heart Approach™ as a child’s compass for life and is committed to teaching it to parents and teachers. Originally, the Nurtured Heart Approach™ began as a therapeutic technique developed to help parents, educators, and therapists, who work with or have challenging children. It was designed specifically for the “difficult” child, children with a diagnosis of Attention Deficit Hyperactivity Disorder (ADHD), Oppositional Defiant Disorder (ODD), Obsessive Compulsive Disorder (OCD), and other disruptive behavioral disorders. However, despite its original purpose, schools using the program began to realize that the Nurtured Heart Approach™ had a positive effect on all children. Teachers saw a decrease in disruptive behaviors and a dramatic increase in the academic scores among ALL students. It became crystal clear that all children needed the Nurtured Heart Approach™. The NHA is more than a behavioral management tool – it is about teaching children how to use their intensity and emotions in a way that works for them, rather than against them. It’s goal is to start at the root of a child’s behavior, their relationship needs. As children begin to learn how to use their intensity in effective ways and to build stronger relationships with their parents, peers and other significant adults, they become much more confident and able to cope with life’s challenges. Children quickly learn to believe in themselves and build inner confidence in the successes that flows from fully investing their intensity in positive behavior. The Nurtured Heart Approach™ views intensity as a gift. It is our life force and the conduit through which we interact with the world. We do not see intensity as something that needs to be subdued or extinguished. Rather, we see intensity as a necessary ingredient in the journey toward greatness. When children feel GREAT about who they are, they become more tuned in to themselves and more skilled at regulating their intensity. They master the art of channeling their intensity and learn to manifest what they desire. Do you think that Thomas Edison was an intense child? What about Albert Einstein? Gandhi? Martin Luther King? All of these people took their intensity and used it to change the world. They aspired to their own greatness. Another major tenet of the Nurtured Heart Approach™ focuses on creating inner wealth in all children. When children experience inner wealth, they are less motivated to please others and more consumed with tapping into their own feelings and wisdom to guide their decisions. They live their lives in the moment and are tuned in to the feelings and concerns of others in a healthy way. They take responsibility for their daily choices, and no longer blame everyone around them when it does not go their way. When things go wrong, it is seen as just a bump in the road, and they are able to move on from that point, being only minimally affected. The basis of the NHA is simple, yet profound. By emphasizing the child’s positive behavior, giving no energy to negative behavior, and setting strict consequences for breaking the rules, children begin to respond to the love and consistency offered by the parent, and their natural desire to love and be loved triumphs. Children with inner wealth want to use their gifts and behavior to help others and they desire to reach their potential while making wise choices. Children will do this, not because of external rewards or fear of consequences rather, because of the internal feeling they receive when they love others and themselves. The child with inner wealth gets along with siblings and peers, respects authority, and experiences discipline as protection, not control. Energize Success – which means to recognize and honor children when they are doing well. Use these times as teachable moments. De-Energize Negativity – this is where a parent makes a conscious decision to no longer reward misbehavior with large doses of time, attention, or emotion. Set Strict Limits and Consequences – parents instill trust and confidence in their child by remaining consistent and holding them accountable. The Nurtured Heart Approach™ helps adults recognize the purpose behind a defiant child’s behavior and how to effectively respond. It breaks down labels, and cultural differences because it reaches the “heart” of every child. Whether the child has challenging behavior or not, the approach will strengthen them from the inside out. The child with inner wealth will naturally present a positive example of inner confidence and ability to peers, family and the community at large. There are multiple inter-related causes of ADHD, ODD, and other disorders. Each child’s case is unique. However, it is very important to note that these disorders can be progressive. The American Psychiatric Association’s diagnostic manual (DSM-IV-TR) considers ODD (defiance) a precursor to more serious disorders like Conduct Disorder (aggression). …children with these types of behavioral issues need the Nurtured Heart Approach™ most, because their response mechanisms tend to be more excitable than those of other children. Many times, “difficult” children display an extremely high-energy, intense temperament. These children respond to the authority figure’s energy (e.g. raised voice, gestures) with even more energy. Often, the response is exactly the opposite of what is desired. The Nurtured Heart Approach™ reverses this cycle by re-directing the child’s energy into positive channels. 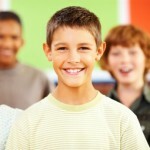 An immediate change to the Nurtured Heart Approach™ can help these children turn around and succeed in marvelous ways. Children quickly learn to believe in themselves. An elementary school in Tuscon Arizona implemented the NHA with remarkable results. Located in a low-income area, Tolson elementary had “eight times the number of school suspensions per year as other schools in the district,” (Glasser). 50% of their teachers quit every year. Their academic performance was the worst in the district. Since the Nurtured Heart Approach™ was introduced, only one child has been suspended in ten years. Academic performance has increased to a rating of “Excelling,” and teacher attrition has fallen to less than 1%. This type of dramatic success story speaks to the Nurtured Heart Approach™ and its unique ability to turn desperate situations into successful outcomes. To read more about Tolson Elementary School and the profound impact that the NHA has had on schools around the country see “Research” in the Nurtured Heart Approach™ drop down menu. The Nurtured Heart Approach™ has been very helpful in determining whether or not a child needs to be on medication. It effectively differentiates between behaviors that are the result of relationship dynamics and those that are physiological in nature.